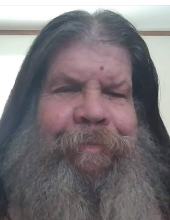 Eugene Roy Tice – a native of Boron, California and a resident of Mobile, Alabama, died Saturday, January 26, 2019 in a local hospital. Gene was a U.S. Army Veteran, a Journeyman Electrician, and attended the school of Hard Knocks, and is now a graduate of the Life program. He was preceded in death by his mother, Jean Cole; and his father, George Tice. He is survived by two children, Torri Clayton and Jason Tice; seven grandchildren, three great-grandchildren, and dozens of adopted family members around the world. Gene will be sorely missed and remain deeply loved by all who knew him. The family will receive friends on Saturday, February 2, 2019 from 12 Noon until the 1 P.M. memorial service at Ascension Funerals & Cremations. Rev. Bob Barr will officiate the service. Arrangements by Ascension Funerals & Cremations, 1016 Hillcrest Road, Mobile, Alabama 36695. To plant a tree in memory of Eugene Roy Tice, please visit our Tribute Store. "Email Address" would like to share the life celebration of Eugene Roy Tice. Click on the "link" to go to share a favorite memory or leave a condolence message for the family.